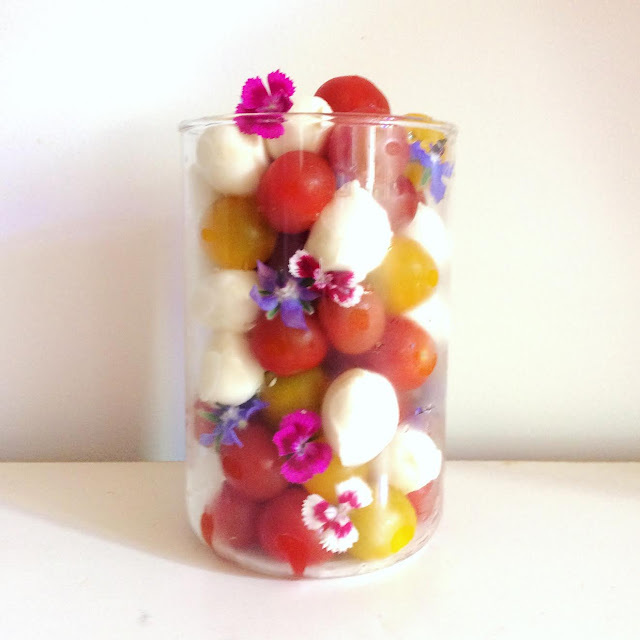 I used red and yellow cherry tomatoes, and mozzarelline (the cherry size), plus added some edible flowers (borage and dianthus from my garden, organic of course). Add small basil leaves too before serving, if you like. Suitable also for a cocktail party, and ever so pretty! I used a mixture of vine tomatoes, cherry tomatoes and semi-dried tomatoes, mozzarelline (but you can use regular mozzarella cut into slices or pieces) and green basil and purple basil leaves. Dress with olive oil and salt. A filling salad or light lunch. 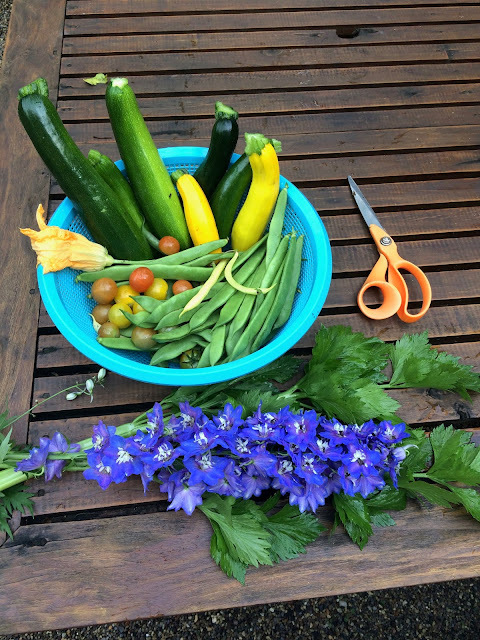 And now some pictures from my garden! PERO ESE JAZMIN!! !ES MI FLOR PREFERIDA Y SU AROMA...DELICIOSO. I love caprese salad and your garden is beautiful Alessandra !